Evans had headed Neuville by 11.5 seconds heading into the Power Stage after a stunning time earlier in the morning allowed him to retake the lead he lost on Saturday. However, Evans picked up a front-right puncture on the final stage and dropped over a minute, plummeting to third overall. Neuville "pushed like hell" in the Power Stage but felt his time was "s***," unaware of Evans' heartbreak. 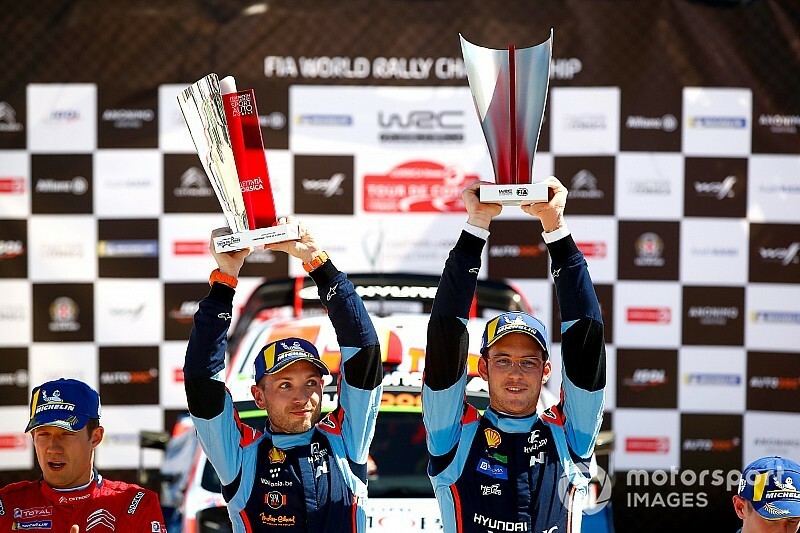 The late drama gifted Neuville his first win of the season and with it the championship lead, two points ahead of Sebastien Ogier. Defending champion Ogier didn't win a single stage all weekend but came home a surprise second overall for Citroen. Ogier was never particularly happy with the feeling of his C3 despite trying several different suspension set-ups, but kept out of trouble and snuck his way up the leaderboard to score second. 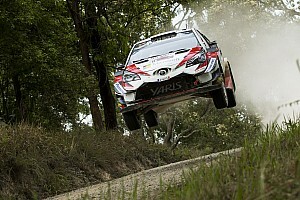 Evans had hit the front as early as stage one, leading Toyota's Ott Tanak after Friday's action. Tanak fought back on Saturday, edging into the lead by lunchtime before his challenge unravelled on SS11 when he picked up a puncture and lost two minutes. 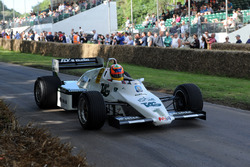 The Toyota driver eventually wound up sixth, falling from first to third in the championship. Dani Sordo was fourth for Hyundai, having taken a sole stage win on the mammoth 30-mile Castagniccia test. He had been running ahead of Ogier for much of the rally only for his brakes to fade on Sunday morning. Teemu Suninen did exactly what was asked of him by his M-Sport Ford team and finished the rally without incident, ending up fifth overall. Like teammate Ogier, Citroen's Esapekka Lappi was frustrated all weekend as he struggled to get on top of an ill-handling C3 WRC. However, the Finn made no mistakes and bagged seventh place for his efforts. Nine-time world champion Sebastien Loeb's rally was almost over before it begun, as he slid wide into a kerb on the opening stage. The Hyundai driver lost two minutes as he limped through the test with a broken rear steering arm. 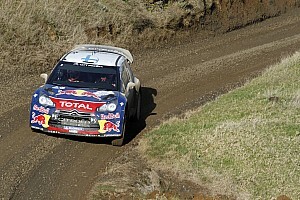 Loeb recovered to eighth, surviving a spin on Saturday morning when he understeered into a ditch. 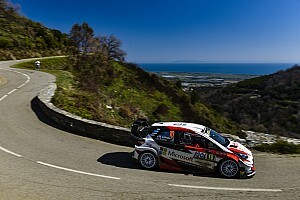 Kris Meeke's pace promised a much stronger finish than ninth, but he was another to leak time as early as stage one. 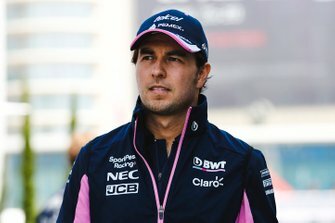 The Briton cut a corner and immediately wrecked the front-left tyre on his Toyota, and then made the same mistake against a kerb as Loeb on stage five with similar consequences. Meeke saved his tyres on Sunday morning to allow for a scorching run on the Power Stage, earning him five extra championship points. Jari-Matti Latvala had a disappointing weekend, with two punctures on Friday and Saturday harming his cause. The Toyota driver ended up 10th, over a minute-and-a-half behind teammate Meeke.